AVAST to give away $26,000 in the new year! 1. Protect my PC, smartphone, and tablet from viruses and theft 2. Recommend avast! Free Antivirus to friends 3. Win up to $10,000! Keeping New Year's resolutions like Lose weight or Quit smoking can be difficult on your own. 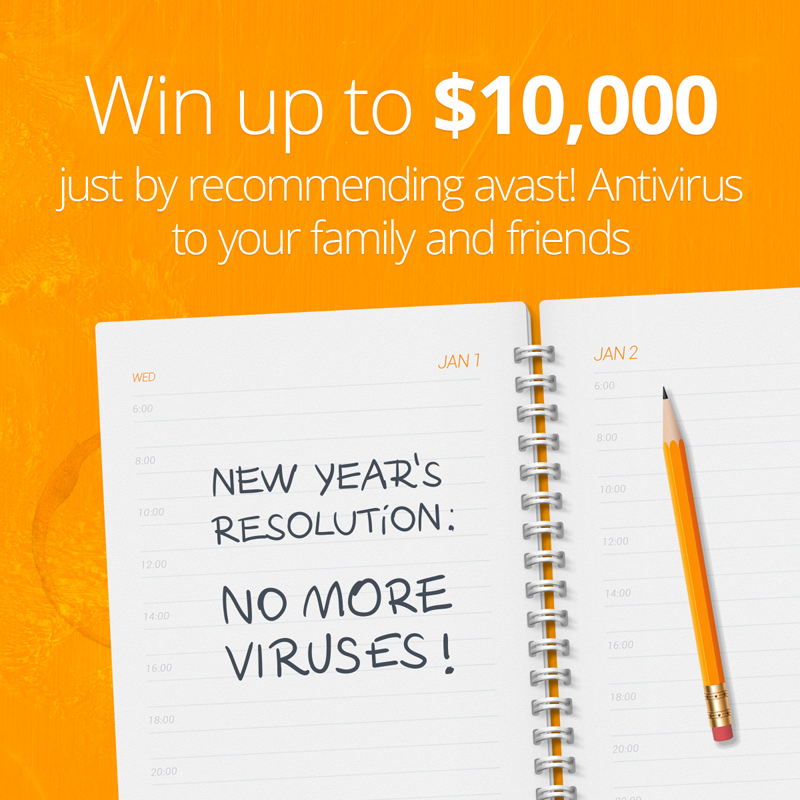 But Protect my devices from viruses and theft is a resolution that avast! Antivirus can help you be successful with. This year, make sure you install avast! on your PC, Mac, Android smartphone and tablet. Tell your friends about us, too. Did you know that about 70% of avast! users come to us from a friend's recommendation? Take a few minutes and let your friends know that you use avast! by sending them an email, tweet or Facebook message. If they begin using avast! from your recommendation, you could start out 2014 with some serious cash. Share avast! with your friends.